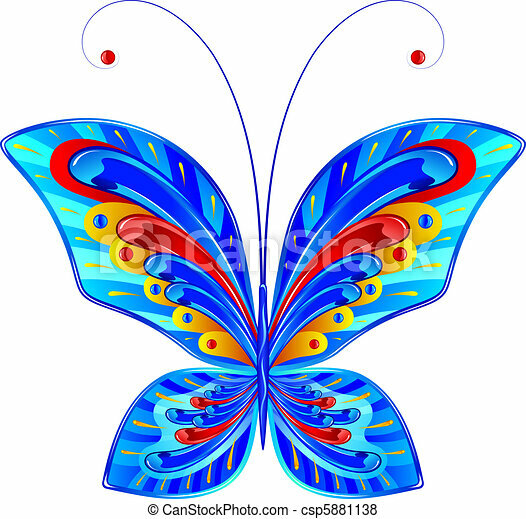 Fabulous butterfly. 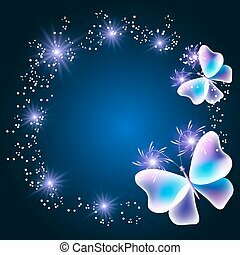 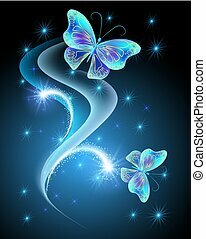 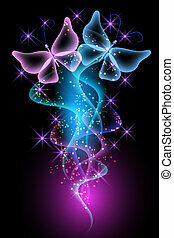 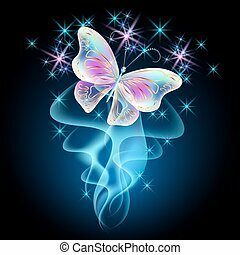 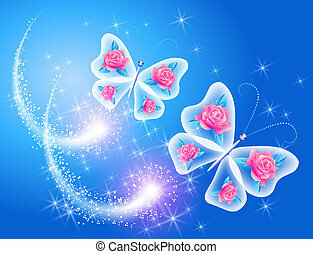 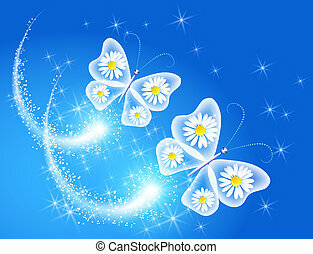 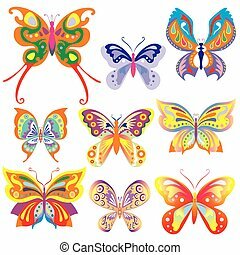 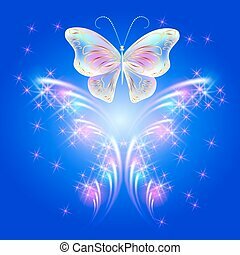 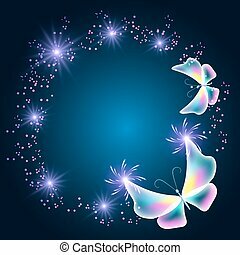 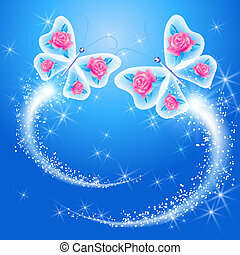 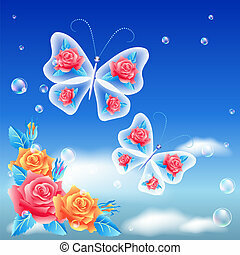 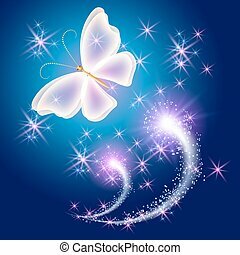 Fairytale abstract blue butterfly with beautiful patterns. 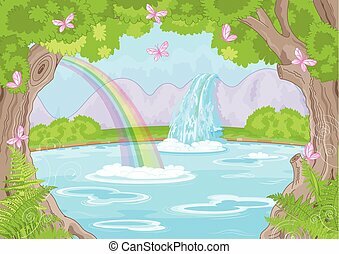 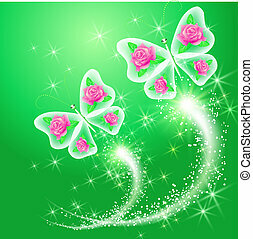 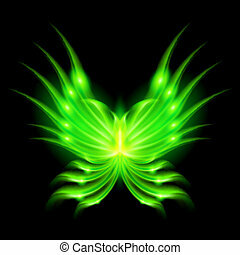 Illustration of green fire butterfly on black background.